All images courtesy DuctSox Corp.
A decade ago, designing the esthetics of an exposed ventilation system in open architectural ceiling applications began with colour, material, and dispersion method selection. The suspension or top end of the ventilation system was the least esthetic concern—it was typically the last choice, or just an after-thought in the process. After all, suspension systems consisting of anchors, threaded rod, clamps, cable, track, and other basic hardware commodities were hardly the foundation for esthetic interior design. For fabric duct systems, this bottom-to-top design approach no longer applies. Instead, consulting engineers, architects, and design/build contractors are discovering the design process has almost been ‘reversed’ due to new top-to-bottom innovations that have revolutionized suspension/retention systems, especially for fabric duct ventilation. These systems keep the fabric esthetically taut and wrinkle-free. The current trend is to now design fabric ductwork ventilation systems literally from ‘top-to-bottom’ because the suspension/retention system choice is so critical to the entire ventilation system’s esthetic and performance. Fabric duct is not new. In fact, it has been used in commercial buildings for nearly 40 years internationally, and now commands a 15 to 20 per cent market share of the North American open architectural ceiling ventilation market. Reasons for its growing popularity include the fact they are faster to install, lighter, and more streamlined in comparison with traditional spiral, round, and other metal ductwork categories. It also does not need potentially environmentally damaging coatings, such as duct sealers, paint primers, paint, and other bare metal treatments containing volatile organic compounds (VOC) that typically off-gas into occupied breathing areas. Further, its linear vent design that typically spans the entire length of the duct run is superior in dispersing air at a more gentle and even rate than draftier metal duct registers every 3 m (10 ft). 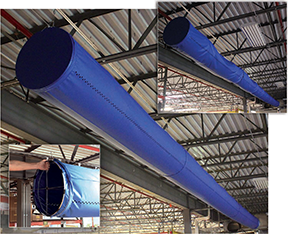 While fabric duct has many advantages, one of the main drawbacks of earlier iterations of the assembly was inherent sagging and wrinkling from deflation during idle air-handling unit (AHU) periods—the intended streamlined esthetic instead appears more like a banner than a round duct. A related concern was roll-out and movement that was sometimes followed by a popping sound during AHU startups. 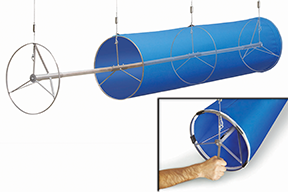 The recent debut of in-duct tensioning system or cylindrical tensioning devices (CTD) by fabric duct manufacturers has reversed this concern. CTDs hold the material taut with an inflated, wrinkle-free appearance, regardless of AHU operation. They can be used in fabric diameters ranging from 203 to 1524 mm (8 to 60 in.). This type of suspension’s first generation featured 360-degree internal metal hoops every 1.5 m (5 ft) that maintain the duct roundness and minimize sagging and wrinkles. The lightweight hoops, which are supported by vertical cables tied into a horizontal cable suspension or track, hold the fabric ductwork perpetually open. A case in point is Edmonton Public School System’s Harry Ainlay High School. The 48-year-old school’s gym has a hoop-style CTD fabric duct system. The 58-m (190-ft) long perimeter system of 508 to 762-mm (20 to 30-in.) diameter, silver-coloured, non-porous duct was a value-engineered solution to the higher expense of installing spiral-round metal duct. However, the fabric duct offers more benefits than just price. The hoop CTDs are a more esthetic solution to metal duct and with less maintenance. Unlike metal duct, fabric does not become dented from wayward balls and other flying sports objects in typical gym environments. In Harry Ainlay’s case, the gym’s frequent badminton use prompted a perimeter-style system, which was installed by Edmonton mechanical contractor, Paragon Ventilation, with technical assistance from the local manufacturer’s representative. (Edmonton’s Ameresco Consulting was the HVAC designer for the project.) The linear vents, consisting of 31.75-mm (1 1⁄4-in.) orifices spaced 51 mm (2 in.) apart (centre-to-centre), run the entire length of the duct bottom’s 6:00 location. This positioning throws the air downward, rather than outward, which could potentially disturb the lightweight badminton shuttles’ flight during air-handling runtimes. Metal duct with registers most likely would have created too much air discharge turbulence. 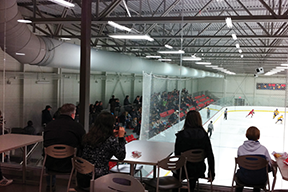 Located in Stanstead, the Pat Burns Arena provides spectator seating for more than 500, and offers air distribution from energy-recovery units that supply Quebec’s first cylindrical tensioning device (CTD)-style fabric duct system. The second generation of CTDs featured 360-degree cylindrical support attached to a central skeletal spine with a tensioning ratchet device. Instead of just internal hoops, tightening the accessible field-adjustable nut on the 1.8-m (6-ft) long tensioning spine spreads the front and back support hoops apart. This not only keeps an inflated appearance, but also smoothes the fabric to eliminate any wrinkling, thus giving a streamlined appearance. Another sports complex in Saskatchewan, Martensville Field House (located just outside Saskatoon), uses the field-adjustable style of CTD to maintain a sleek-looking fabric duct system, which was designed by Associated Engineering (Saskatoon) and installed by Modern Niagara (Martensville). The 204-m (670-ft) long perimeter system begins and ends at a metal rooftop plenum drop that distributes 20,388 m3/h (12,000 cfm) each to the right and left of 1016-mm (40-in.) diameter, non-porous white fabric runs. The custom laser-cut, computer-modelled vents are 12, 19, and 25 mm (1⁄2, 3⁄4, and 1 in.) in diameter. They are arranged linearly in arrays ranging from 4:00 to 8:00 locations on the duct bottom. The smaller and larger orifices disperse air toward the higher and lower seats, respectively, so as to broadcast an even air distribution onto spectators regardless of their elevation in the grandstands. The third generation of CTD is a value-engineered solution that employs a combination of tensioning baskets and internal hoops to support, streamline, and tension the fabric system. The system is suspended from either a tension cable or track suspension system. The tensioning locks, which are attached to the tensioning baskets and suspension system, are manually pulled tight to stretch and lock the fabric externally into a taut, smooth appearance. The tensioning—comprising two universal, 360-degree, multi-spoked rings spaced apart by an aluminum connecting tube—are positioned at multiple locations throughout the system, typically located at the opposite ends of fabric sections and at intermediate points for extended lengths. Maximum tensioned section lengths are 12.2 m (40 ft). Factory-installed internal hoops are spaced every 1.5 m (5 ft) to eliminate mid-length drooping. While many fabric duct manufacturers offer standard warranties of up to a decade on fabric installed with the old style suspension systems, the new suspension/retention systems have extended warranties of up to 20 years, depending on the fabric and manufacturer. The fabric is the same quality, but the elimination of hundreds (sometimes thousands) of inflate/deflate movement cycles eliminates fabric fatigue, because the material remains in a static position throughout its lifecycle. This third-generation (value-engineered) in-duct CTD has tensioning baskets that are pulled taut on each end of a duct run and secured with locks gripping onto the cable above. (It is also available with a track instead of a cable). The upper-right picture shows before the fabric has been pulled tight. One example of choosing the suspension system first for esthetics, versus other options is the new facility in Drummondville, Que., of a prominent, international provider of roofing, waterproofing, and air/vapour barrier products. The company plans to manufacture insulated wall and roof panels at the new 22,300-m2 (240,000-sf) building. Fabric air distribution was chosen for the potential installation/labour savings and its light weight, and then added a CTD that ratchets the fabric taut for a streamlined esthetic. The design/build project by local firm Aeronergie was switched at the 11th hour from the previously specified spiral metal duct because fabric duct was deemed to be more beneficial than a traditional setup for the project, explained the industrial ventilation consultant’s president, Carl Binette. cent airflow through the fabric duct’s weave while the remaining 85 per cent flows through the linear vents. 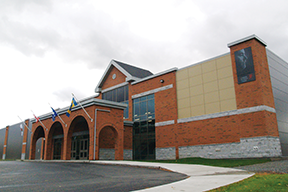 For the Pat Burns Arena, textile duct should mean reduced maintenance costs versus traditional metal systems, because it cannot be dented from wayward hockey pucks, does not need expensive and toxic anti-corrosive coatings reapplications, and can be commercially laundered to eliminate contaminants and maintain optimal indoor air quality (IAQ). Selecting fabric duct also helped contribute toward the facility owner seeking credits for its application as a Leadership in Energy and Environmental Design (LEED)-certified building. increased mechanical equipment efficiencies due to the achievement of better air dispersion. Another Aeroenergie project is the $8.9-million Pat Burns Arena in Stanstead, Que. 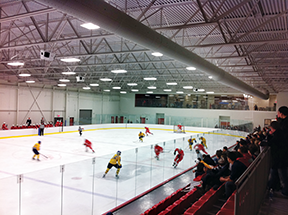 The state-of-the-art rink provides spectator seating for more than 500, and offers air distribution from energy-recovery units that supply Québec’s first CTD-style fabric duct system. The arena’s design team also included consulting engineer, Patrick Bourget ing., Dupras Ledoux ingenieurs (Montréal), and mechanical contractor, Sylvain Duquesne Ventilation G.R. Inc. (Laval, Que.). The textile duct was factory-engineered to disperse conditioned air evenly and without drafts from four rows of small-diameter—16 to 25-mm (5⁄8 to 1-in. )—linear vents that span the entire duct length at 6:30, 7:15, 8:15, and 9:00 factory-engineered positions. The 813-mm (32-in.) diameter textile duct transitions to a reduced 610-mm (24-in.) diameter halfway from its mechanical room wall origins to the opposite side of the arena. The image shows a second-generation in-duct CTD up-close to better display how it works. The CTD system keeps the textile duct esthetically taut 24-7 while it keeps the spectators in a 40 per cent relative humidity (RH) and comfortable—by hockey arena standards—temperature set point of 14 C (58 F). The textile duct should also save the arena maintenance costs versus metal, because it cannot be dented from wayward hockey pucks, does not need expensive and toxic anti-corrosive coatings reapplications, and can be commercially laundered to eliminate contaminants and maintain optimal indoor air quality (IAQ). Another cost savings is in energy (due to the uniform temperatures of the air dispersion throughout the spectator and skating areas), which results in reduced mechanical HVAC equipment running times. The increasing sophistication of today’s fabric duct suspension design requires decidedly different specification steps than systems of a decade ago. Fabric duct manufacturers can be instrumental in helping specifiers and design/build contractors specify the system that best fits the application’s esthetics, performance, and budget. 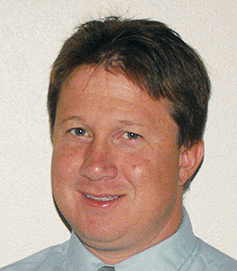 Nick Kaufmann, LEED AP, is director of manufacturing and engineering for DuctSox Corp., a manufacturer of fabric ductwork/accessories. 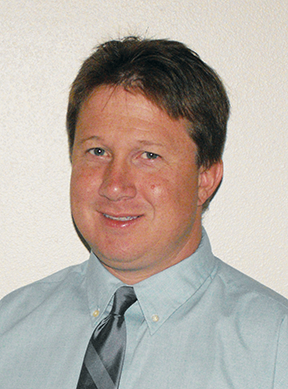 A 21-year veteran of the HVAC/R industry, he is a member of the American Society of Heating, Refrigerating, and Air-conditioning Engineers (ASHRAE), and holds four HVAC-related patents on airflow, airflow adjustment, and in-duct tensioning systems for fabric duct. Kaufmann can be reached at nkaufmann@ductsox.com.